Yew Tree Farm in the village of Reagill, near Penrith is a very large holiday cottage in a great location for exploring the Lake District National Park. 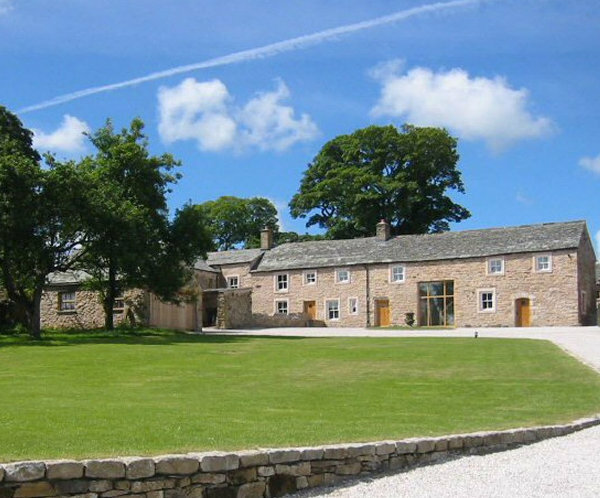 Yew Tree Farm sleeps 15 people in 7 bedrooms, which makes this a good place to explore this part of northern England. Bedroom one has a zip 'n' link bed - which means the bed can be configured as a twin or double bed. There is also an en suite shower room and toilet. Bedroom 2 has a king-size bed, with a balcony looking out over the garden. There is also an en suite bathroom. Bedroom 3 has a king-size bed and en suite bathroom. There is also an open fire. 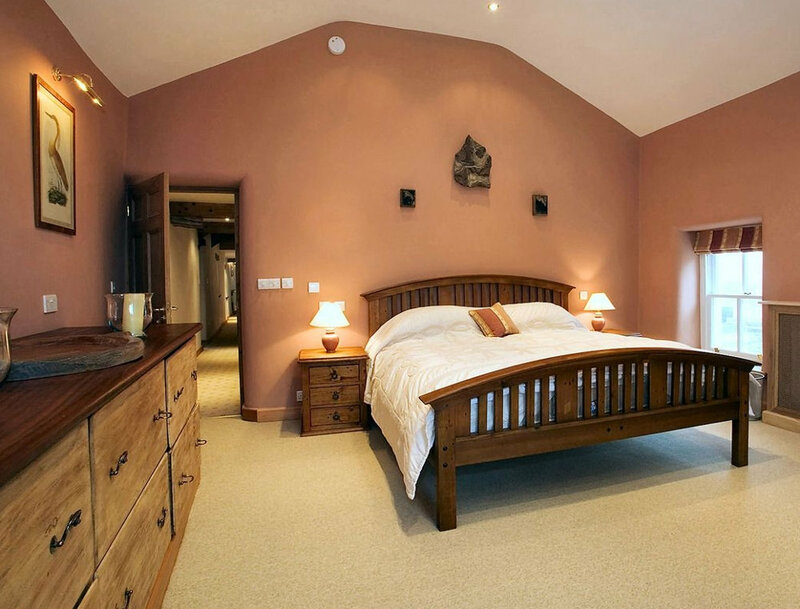 Bedroom 4 is a twin bedroom with an en suite shower room. Bedroom 5 is a double bedroom with an en suite shower/bathroom. Bedroom 6 has is a twin bedroom. Bedroom 7 has a bunk bed configuration with a double bed at the bottom and a single bed at the top. The bathroom is shared with bedroom 6. Yew Tree Farm has a TV, DVD player, and Wi-Fi included. There is under floor heating on the ground floor, with radiators upstairs. There is also an open fire in the living room. The dining room also has an open fire. You have an electric range for cooking, with a gas hob. There is a washing machine, tumble dryer, dish washer, microwave and fridge/freezer. Outside Yew Tree Farm has a couple of lawned gardens, with a patio area with furniture and a barbeque. Outside is also where you'll find your private hot tub. All your fuel, bed linen and towels are included in the price. With holidays at Yew Tree Farm starting on a Friday. Around the area you have plenty of places to visit, with Penrith, Ullswater, Kirkby Stephen and Kendal all within a short drive of Yew Tree Farm. The village of Reagill is set in the Eden Valley, and has lots of scope for walking and cycling in the countryside. You can also visit Brougham Castle or Acorn Bank House and Gardens during your holiday here. The Lake District, Yorkshire Dales and Scottish Borders are all within driving distance of Yew Tree Farm. The Lake District National Park has an abundance of outdoor activities to try including sailing, rowing, windsurfing, lake cruises, swimming, fishing, kayaking and canoeing.